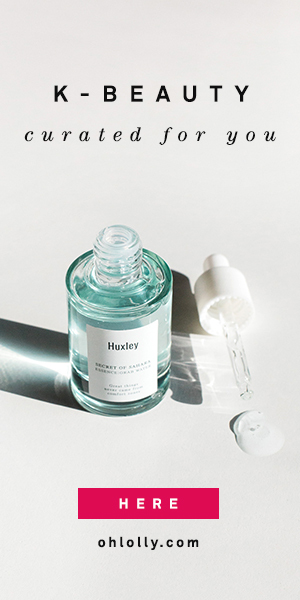 Deciem, a Toronto-based beauty company (you may have heard of their brand NIOD), made waves last year when they started a budget skincare brand, The Ordinary, and priced their 10% niacinamide serum at a mere $5.90 for 30ml. High-concentration niacinamide serums are difficult to find in the US beauty industry, and the closest similar product would be Paula’s Choice RESIST 10% Niacinamide (Vitamin B3) Booster*, which retails for $42 for 20ml (granted, the PC contains a lot of beneficial ingredients besides niacinamide). Needless to say, The Ordinary niacinamide serum made a splash. What’s the big deal with niacinamide? This beauty powerhouse is the topical form of vitamin B3. There are several well-documented studies that show that niacinamide, when used topically, can improve fine lines, even out red blotchiness, improve skin texture (ie less visible pores), lessen hyperpigmentation, and brighten sallowness of the skin (Source). It also increases ceramides and lipids at the surface of the skin to help repair and maintain the skin’s moisture barrier (Source). Long story short, niacinamide basically does everything, and the good news is that it is well-tolerated by most people on the skin. I’ve personally used many products that contain niacinamide, but 10% is much higher than the amount that would be used in most skincare products. In fact, what I’ve seen from DIY skincare sites is that 5-6% is the optimum effective concentration. Which begs two questions. Is 10% niacinamide more effective than lower concentrations of 5-6%? And if not, could 10% be potentially more irritating to the skin than it’s worth? I’m not a scientist, so I can’t say for sure, but I can tell you how my skin fared with this serum. Niacinamide as a raw material isn’t terribly expensive, so it’s nice to see a company creating a serum without a crazy high markup. The Ordinary Niacinamide serum is incredibly affordable. I even thought at first that it was a loss leader, but according to Deciem’s founder, they actually do make a profit on this product! The Ordinary Niacinamide serum is, according to the official description, meant to balance sebum production, reduce blemishes and the appearance of pores. Zinc PCA has been shown to have antibacterial/antifungal, and sebum controlling activity, so its inclusion should also help with reducing acne, with the added side effect of stabilizing and preserving the product as well. However, because niacinamide is so popular as a skin brightening treatment, many people seem to buy this serum in hopes that it will also lighten hyperpigmentation (I was one of these people!). The Ordinary Niacinamide serum has a viscous consistency and a whitish translucent color. It was thicker than I expected. While it did spread out over my face with an adequate amount of slip, I felt like there was a slight residue when it dried, and if I rubbed my face too vigorously while the product was still wet, some white streaks would appear. So the formula was not quite as elegant as I had hoped. It also did not feel very hydrating. I also found that this product caused subsequent products to pill up, especially if I ended up using a sunscreen and/or bb cream. The pilling did not occur with other products in my routine if I skipped the niacinamide (including when I used The Ordinary’s Alpha Arbutin serum). This made it a bit of a pain to incorporate in the mornings so I ended up only using it at night. Ultimately though, these minor complaints did not prevent me from continuing to use the product. I wish they had put a few hydrating ingredients in this serum, and perhaps fewer thickeners. I would have been willing to pay a couple dollars more for a humectant like glycerin or hyaluronic acid. But of course, some people are sensitive to hyaluronic acid so perhaps making the serum more basic makes it more accessible. I have gone through 1.5 bottles of The Ordinary Niacinamide serum. I did NOT find that it helped with fading sun spots or hyperpigmentation (in fact I saw a lot faster fading when I incorporated a gentle Vitamin C derivative serum). However, I did find that it reduced inflammation and redness, giving my skin a consistently calmer baseline. While I still got a few blemishes while using this product (dang hormones), in general my skin looked clearer, less sallow, and healthier. And surprisingly, although this serum isn’t hydrating by itself, my skin did look plumper and more satiny over time, which I attribute to the collagen-stimulating and moisture barrier-repairing prowess of this serum. These are results that I did not see with previous serums that contained low amounts of niacinamide. I did not experience any irritation with this product. In fact, I believe it reduced irritation and inflammation. Overall, I felt that The Ordinary’s Niacinamide serum had a subtle but noticeable effect on my skin’s health. Enough for me to continue paying the $6 to have this serum in my routine. I already have another backup bottle ready. There may be affiliate links in this post, marked with an asterisk (*). I get a small commission on products purchased through this link, though you will not pay a penny more! All reviews constitute my honest opinion. zinc pca is not the same thing as zinc pyrithione. I can’t believe I didn’t catch that! Kicking myself! I must have misread the label when I first got this. Will revise asap!